On Summer Cyber Tuesday, this May 31st, guests can take to cyberspace for exceptional travel values from Personal Luxury Resorts & Hotels® and Benchmark Resorts & Hotels®. The travel values must be booked within a 24-hour period, beginning at 12:00 a.m. EST on May 31st, the Tuesday after Memorial Day and the official start of the summer season. Summer Cyber Tuesday combines the excitement of Memorial Day Weekend with the ease of online booking together with terrific summer family experiences, travel adventure, and exceptional savings. “Summer Cyber Tuesday” Travel Values from 18 Personal Luxury Resorts & Hotels® and Benchmark Resorts & Hotels® Properties Feature Special Savings and Packages on Cyber Tuesday, May 31st, 2016. Ready, set, click! On Summer Cyber Tuesday, this May 31st, guests can take to cyberspace for exceptional travel values from Personal Luxury Resorts & Hotels® and Benchmark Resorts & Hotels®. The travel values must be booked within a 24-hour period, beginning at 12:00 a.m. EST on May 31st, the Tuesday after Memorial Day and the official start of the summer season. The promotion ends at 11:59 p.m. EST on the same day. Prior to Summer Cyber Tuesday, guests can sign up for an email alert the moment the summer travel values and packages go live. Upon going live, guests will view exciting summer packages with unique travel experiences, sensational summer escapes, fantastic destination discoveries, and extraordinary resort and hotel values in locations coast to coast, in the Caribbean and Hawaii! The offer is subject to availability and black-out dates, and for new bookings only. Certain restrictions may apply. All bookings must be made on Tuesday, May 31st, 2016, before 11:59 p.m. EST and must be booked directly online. Destinations include California, Curaçao, Colorado, Florida, Hawaii, Illinois, New Jersey, New York, Texas, Virginia, Washington State and West Virginia. For more information and to book, go to http://www.BenchmarkCyberTuesday.com and http://www.PersonalLuxuryCyberTuesday.com. Costa d’Este Beach Resort & Spa (Vero Beach, FL), Gloria & Emilio Estefan’s luxury beachfront resort in Vero Beach, on central Florida's Treasure Coast, offers guests exceptional savings of 40% off its Best Available Rate when booking a stay on Summer Cyber Tuesday. The Inn at Rancho Santa Fe (San Diego, CA), situated on 21 acres of exquisitely landscaped grounds, offers on Summer Cyber Tuesday 30% off its Best Available Rate of two nights or more for stays through September 30, 2016. Hotel Zelos San Francisco (San Francisco, CA) offers up to 25% savings to guests booking on Summer Cyber Tuesday. Guests staying in May save 15% on room accommodations, in June 20%, and in July 25% off Best Available Rates. Guests booking over premium dates receive a $30 dining credit at the Dirty Habit Restaurant & Bar. Marenas Beach Resort (Sunny Isles Beach-Miami, FL) Set on North Miami Beach with panoramic ocean views, Marenas Beach Resort celebrates Summer Cyber Tuesday with discounts of 10% off Best Available Rate for 2 nights, 20% off Best Available Rate for 3 nights, 30% off Best Available Rate for 4 nights, and 40% off Best Available Rate for 5+ nights. The Villas of Grand Cypress (Orlando, FL) offers guests up to 50% off stays from June to December. Located in the heart of Orlando, this luxury retreat offers unsurpassed relaxation and recreation. Golfers play on 45 holes of the Jack Nicklaus Signature-designed course and get top-notch instruction at Grand Cypress Academy of Golf. The Villas of Grand Cypress offers fine dining and numerous recreational options both at the resort and at local theme parks. Willows Lodge (Woodinville, WA) Located in Washington State’s Wine Country, Willows Lodge offers $50 off its deluxe Wine-cation package that includes overnight accommodations, two complimentary glasses of Sommelier-selected wine in Fireside Cellars, complimentary use of bicycles to cruise the picturesque Burke Gilman trail, a complimentary pedicab ride to a local winery and a delicious Le Picnic for two prepared by the Barking Frog restaurant. Spanish Garden Inn, (Santa Barbara, CA) An intimate retreat in the heart of downtown Santa Barbara, Spanish Garden Inn offers guests who book on Summer Cyber Tuesday a complimentary bottle of Santa Barbara County wine and 15% off the second night’s stay. Offer valid Sunday - Thursday, based upon availability. The following Benchmark Resorts & Hotels® are offering Summer Cyber Tuesday values. For details and to book, visit http://www.BenchmarkCyberTuesday.com. Santa Barbara Beach & Golf Resort (Curaçao) This stunning property is home to one of the Carribbean’s most acclaimed golf courses, designed by Pete Dye and overlooking the Carribean Sea. The resort offers savings of 40% on Summer Cyber Tuesday only. Turtle Bay Resort (North Shore, Oahu, HI) On Oahu’s fabled North Shore, Turtle Bay is set on five miles of beachfront and offers an array of amenities and services, including diving, boating, and two championship golf courses designed by Arnold Palmer and George Fazio. All guest rooms offer ocean views. Summer Cyber Tuesday values include discounts of 20% on 4-night stays, 25% on 5-night stays and 30% on 6-night stays. Doral Arrrowwood Resort (Westchester County, NY) celebrates Summer Cyber Tuesday with an exclusive offer that includes 10% off the Best Available Rate, a late check-out of 5 p.m., complimentary breakfast for two in the scenic Atrium Restaurant. Also included is a $25 resort credit that can be used in any of the property's unique food & beverage outlets, for golf or tennis or even towards any of Doral’s New Summer Resort Happenings, including Chef’s Harvest Signature Dining Experience, Micro Beer Tasting in the PUB or Chef Michael’s Secret & Simple Recipes with Wine Tasting. Doral’s Summer Cyber Tuesday offer is available for stays between now and Labor Day where guests will find a wide array of resort activities to enjoy 7 days a week. The Inn at Virginia Tech (Blacksburg, VA) offers 30% off the Inn’s Best Available Rate and complimentary breakfast for two in the award-winning Preston’s restaurant during Summer Cyber Tuesday. Nestled between the breathtaking Blue Ridge and Allegheny Mountains, Blacksburg and the New River Valley are booming with outdoor fun and summer festivities. 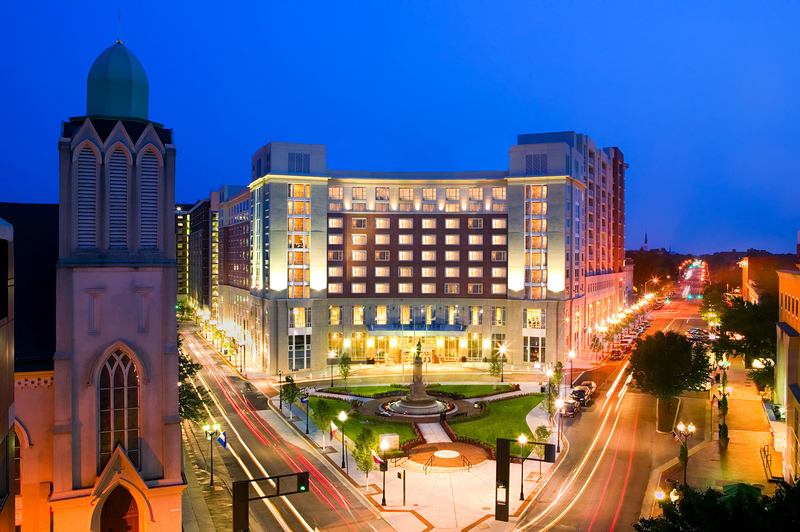 The Hotel Roanoke & Conference Center (Roanoke, VA) Summer is the ideal season to explore Virginia's Blue Ridge with up to 25% off the Best Available Rate for Hilton HHonors members and up to 20% off for non-members when booking direct at http://www.HotelRoanoke.com. Set in the Roanoke Valley and surrounded by the Blue Ridge Mountains, the historic Hotel Roanoke offers a scenic escape and easy access to hiking, kayaking, biking and fishing. Stonewall Resort (Roanoke, WV) Located in the heart of scenic West Virginia, on Summer Cyber Tuesday the resort offers 30% off its Best Available Rate on weekday stays through September 30th. The lakeside AAA Four Diamond resort features a rustic Adirondack-style lodge. Guests can golf the award-winning Arnold Palmer Signature Golf Course, relax in the Mountain Laurel Spa, spend a day on Smith Mountain Lake and dine in the resort's three onsite restaurants. Cheyenne Mountain Resort (Colorado Springs, CO) On Summer Cyber Tuesday, Cheyenne Mountain Resort in Colorado Springs will bring back its popular Passport to Summer experiential package. This family favorite includes overnight accommodations with a patio or balcony, access to resort amenities and on-property summer activities, and welcome gifts for both the pint-sized guest and adult-sized vacationer. Kids will receive a backpack stuffed full of summertime gear, including their own personalized passport with photo. While parents will receive their own Parental Perks Pass, chock full of savings and deals for mom and dad. Prices start at $229. The Heldrich Hotel (New Brunswick, NJ) is offering those who book on Summer Cyber Tuesday the opportunity to save up to 15% off its Best Available Rate, based on availability, now through the month of August. Included in the package are a buffet breakfast for two and complimentary WiFi access. 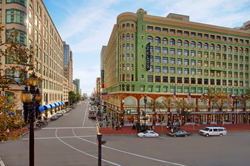 The Heldrich is just steps away from the cultural center of the city, including The State Theatre, the George Street Playhouse and the Stress Factory Comedy Club, and is within walking distance to NJ Transit train to New York City. Chaminade Resort & Spa (Santa Cruz, CA) Summer Cyber Tuesday gives guests SUNsational Savings of 40% off the quintessential California Beach Vacation in the Santa Cruz Wine Country. The resort offers a pool, day spa, two onsite restaurants and hiking trails throughout the property. Eaglewood Resort & Spa, (Chicago, IL) Chicagoland’s best music fills the nights at the resort’s Sounds Of Summer weekend concert series. Great Summer Cyber Tuesday values are offered with 25% off weekend stays of one and two nights. Prices start at $150 and include deluxe accommodations, two beverage vouchers, “Divvy It Up” appetizer, preferred seating at a concert, $25 resort credit and breakfast buffet for two. Hotel Contessa (San Antonio, TX) marks Summer Cyber Tuesday with rates starting at just $139. The all-suite hotel, located directly on city’s famed Riverwalk, is within walking distance to museums, theaters, historical sites including The Alamo and a short drive to area attractions. The hotel boasts spacious suites, a rooftop pool, fitness center, spa, restaurant and concierge. Personal Luxury Resorts & Hotels® includes unique hand-picked properties in spectacular U.S. destinations coast to coast. Each hotel and resort delivers personal luxury in a spirit true to its own distinctive locale, yet in keeping with the collection’s shared mission. They represent a select portfolio of Benchmark Hospitality International®, which has been a leading US-based hospitality management company for over 30 years. Personal Luxury Resorts & Hotels is the preferred choice of guests who yearn for transformation over accommodation, customization over conformity, and inspiration over predictability. With Personal Luxury Resorts & Hotels, luxury is always personal. http://www.personalluxuryresortsandhotels.com. To become a fan on Facebook, visit http://www.facebook.com/PersonalLuxuryResortsandHotels, or follow us on Twitter at http://www.twitter.com/PersLuxResorts. Benchmark Resorts & Hotels® represents the finest in lodging, dining, recreational and meeting accommodations. Many are certified by the International Association of Conference Centres, the leading professional organization governing the multi-billion dollar conference center industry on five continents, and many have also been recognized with the coveted Benchmark Conference Centers® certification of meeting excellence. Benchmark Resorts & Hotels deliver highly specialized service that anticipates guests’ needs and ensures a hospitality experience unsurpassed and long remembered. http://www.benchmarkresortsandhotels.com. To become a fan on Facebook, visit http://www.facebook.com/BenchmarkResortsandHotels, or follow us on Twitter at http://www.twitter.com/BenchmarkHotels.